Makoni, a former Cabinet minister in President Robert Mugabe’s government, joined forces with Tsvangirai ahead of the July 31 election and has rallied behind the MDC leader in the latest turmoil. There have been overtures by expelled MDC secretary-general Tendai Biti to court Makoni, but he told journalists at his party headquarters in Harare that unlike the smaller MDC faction leader Welshman Ncube, he believes in an all-inclusive coalition that includes Tsvangirai. 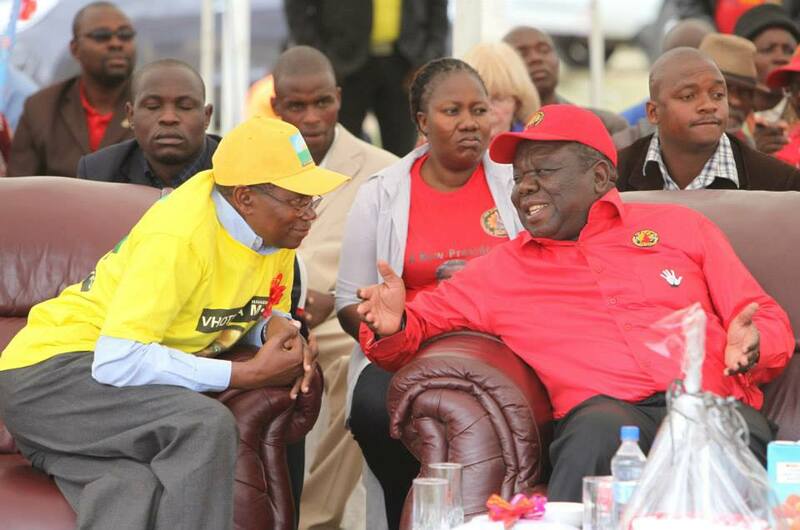 While Ncube has said he was open to a coalition with Biti, he has ruled out joining hands with Tsvangirai again. “The grand coalition should include everyone,” Makoni said. Following the latest split in the MDC that has seen Biti break away from the main MDC formation to lead the so-called renewal faction, Makoni says he has engaged both leaders to try and heal the rift but to no avail. “I have met both (Tendai) Biti and Tsvangirai and I have expressed the view that it is not in the interest of the democratic forces,” Makoni said. The former ZANU PF politburo member said Zimbabwe is suffering from the “big man syndrome” where most of the leaders believe in their individual invincibility. “In the MDC, we should try to reconcile and reconnect, it is not in the interests of our parties to split,” he said. Asked if he had been invited by the renewal team to the looming all-stakeholders convention, Makoni warned against rushing into such indabas before consulting the people. “I am working to persuade all of us to work together,” he said. Revealing progress in his overtures to the country’s leadership including those in Zanu PF to form a grand coalition, Makoni, who ruled out ever rejoining the party, said there were so many bigwigs in the ruling party who were keen on joining the grand coalition but were crippled by fear. Describing Mugabe as “a prisoner of the past”, Makoni said the 90-year-old leader’s role in rescuing the country from the clutches of the crippling economic woes lay in freeing his comrades from the prison of fear. “I have not been approached by anyone to rejoin ZANU PF and I have no intention of rejoining ZANU,” he said.